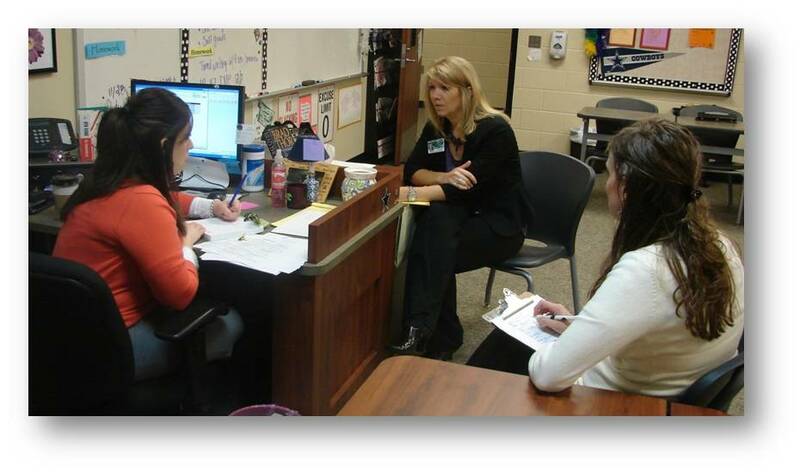 During the SLC Connection “Classroom Library Coteaching 4 Student Success” Webinar held on October 13th, several participants asked questions about library scheduling. Some of us stayed online after the hour to talk a bit more about scheduling for classroom-library collaboration. This has long been a tension for school librarians, particularly those who serve in elementary schools. Without a flexible schedule is it difficult to collaborate with classroom teachers and specialists and provide students with deeper learning opportunities. In fact, a week later during Leslie Maniotes’ “Guided Inquiry Design in Action” Webinar on October 27th, Leslie noted the importance of classroom-library collaboration and stressed the inquiry phases needed before students formulate their questions: open, immerse, and explore. Thorough preparation for successful inquiry learning takes time. In my experience, inquiry phases should occur over a reasonably short period so that students’ passions are engaged. This helps them become self-motivated as they begin their inquiry and supports them in making a commitment to their learning. Fixed library schedules were school librarians are working with students at one set time each week, usually for 30 to 50 minutes, simply does not lend itself to classroom-library collaboration for guided inquiry. Roger Grape, school librarian at Blackshear Elementary in Austin, Texas, created at a digital advocacy story to promote flexible schedules: “Bendy, Twisty, Flexible Scheduling!” In his Animoto video, Roger notes that the American Association of School Librarians (AASL) promotes flexibly scheduled school libraries as a best practice. “Classes must be flexibly scheduled into the library on an as needed basis to facilitate just-in-time research, training, and utilization of technology with the guidance of the teacher who is the subject specialist, and the librarian who is the information process specialist” (AASL). See the entire AASL Position Statement on Flexible Scheduling. As Roger says, “You need the best from every member of your team” (Grape). 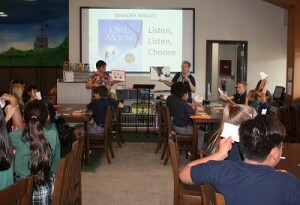 Librarians with flexibly scheduled libraries have the opportunity to serve students and teachers at the point of need. They have the opportunity to engage students and collaborate with teachers to guide deeper learning. As I suggested in the “Coteaching” Webinar, school librarians can find a friend on the faculty, or one who teaches an age-level or in a discipline in which you have a particular strength, or approach a colleague who has expertise you lack and form a collaborative relationship. If you are working in a fixed schedule, ask that person to “give up” her/his planning time in order to coplan and coteach and build a case with administrators and colleagues for the efficacy of classroom-library collaboration supported by flexible scheduling. Side note: If you are attending the Arizona Library Association Conference in Tucson this week, please considering participating in my session: Storytelling Matters: Reach Out with Digital Advocacy Stories. You, too, can make an effective advocacy video like Roger’s; his has over 800 views! American Association of School Librarians. “Position Statement on Flexible Scheduling.” American Library Association. 17 July 2014, http://www.ala.org/aasl/advocacy/resources/statements/flex-sched. Breeze, Chris. “Flick-Gator Cheerleaders.” Wikipedia: Cheerleading, 25 Jan. 2009, https://en.wikipedia.org/wiki/Cheerleading#/media/File:Flick-Gator_Cheerleaders.jpg. Applying the principles of effective lesson design is essential. Effective educators base instruction on assessment data. They collect evidence of student learning during and after the lesson. They also use observations and these data to inform the instruction in process and future instruction. These principles can support educators as they work together to codesign effective lessons in which learning objectives, tasks, and assessments are aligned. Dr. Bauml notes, “Just as students don’t automatically know how to work in groups, teachers can’t be expected to magically make collaboration work” (60). This is where school librarians’ experiences as instructional partners can be particularly valuable in the school learning community. When school librarians develop their expertise by working with individual faculty members and teaching teams, they can serve as effective collaboration guides. Coimplementing coplanned lessons was missing from the article because even after coplanning many classroom teachers do not have the opportunity to coteach those lessons. When two classroom teachers coteach, they must find a space large enough to accommodate doubling the class size. And they miss out of one of the important benefits of coteaching, namely lowering the student-to-educator ratio. When classroom teachers coteach with the school librarian, they can truly experience job-embedded professional development. They can learn with and from each other in real time, make adjustments to instruction informed by two (or more educators), and comonitor students’ guided practice. Then when they follow up by coassessing student learning, they both bring their first-hand knowledge of what happened during the instructional intervention. Coplanning, coimplementation, and coassessing student learning and the instructional itself may be the best form of professional development for all educators. Dr. Bauml cites instructional specialists, paraprofessionals, school administrators, and special education teachers as possible collaborative planners with individual, pairs, or groups of classroom teachers (59). While I trust all school librarians aspire to be seen as “instructional specialists,” I will praise the day when more articles are published in education journals in which school librarians are specifically mentioned as collaborative instructional partners. And to build on that vision, thank you to 230 school librarians, classroom teachers and specialists, school administrators, university faculty, and others interested in education who attended my Webinar “Classroom-Library Coteaching 4 Student Success” on Thursday, October 13th. If you were among the almost 800 who signed up and were unable to attend, you can link to the archive on edWeb.net. You can also access resources from this SLC @theForeFront Webinar on my presentations wiki. Let’s keep on improving our instruction through coteaching. Bauml, Michelle. “The Promise of Collaboration.” Educational Leadership, vol. 74, no. 2, 2016, pp. 58-62. In August, 2016, the American Association of School Librarians (AASL) posted the “Instructional Role of the School Librarian” position statement online. According to the statement, “As educators and instructional partners school librarians are critical to teaching and learning in the school community” (“Position Statements”). It is through my thirteen-year experience as a school librarian and twenty-one years as a school librarian educator that I know this is true. 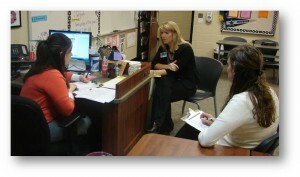 I have served at and observed the practice of school librarians at all three instructional levels. When school librarians serve “as leaders in literacy and technology, school librarians are perfectly positioned to instruct every student in the school community through both traditional and blended learning” (“Position Statements”), they can be essential contributors to students’ well-rounded education. My experience tells me, and research supports it (Moreillon), that the most effective way for school librarians to serve as leaders in their schools is through collaborative instructional partnerships with classroom teachers and specialists. Working with the classroom teacher and through classroom curriculum ensures that the school librarian’s instruction has the potential to positively impact the learning needs of all students while it meets classroom teachers’ and school administrators’ objectives. This is an open invitation to school librarians, classroom teachers and specialists, school administrators, parents, and anyone interested in education to participate in my upcoming Webinar “Classroom-Library Coteaching 4 Student Success.” It will be held on Thursday, October 13th at 5:00 p.m. EDT. You can read about it on the School Library Connection Blog or register at edWeb.net. In the September/October 2016 issue of Knowledge Quest, the American Association of School Librarians (AASL) published the definition for an effective school library program (4-5). AASL President Audrey Church and AASL Executive Director Sylvia Knight Norton introduced this statement by putting the definition in the context of the recently enacted Every Student Succeeds Act (ESSA). ESSA includes AASL’s definition. The KQ article/position statement notes: “The definition of an effective school library program provides guidance to administrators, school boards, and school librarian in implementing ESSA” (5). The goal of effective school library programs is to prepare students for college, career, and community. The statement emphasizes the need for a state-certified school librarian serving in an adequately staffed library as essential to meeting the objectives of an effective program. Some of these objectives are equitable access to resources, including technology, a dynamic environment that links to real-world events and enables academic knowledge and deeper personalized learning. As a long-time advocate for classroom-library collaboration, I was heartened to see the definition includes collaboration as the third fundamental component. The effective school library program “provides regular professional development and collaboration between classroom teachers and school librarians” (4). AASL defines collaboration is this way: “Working with a member of the teaching team to plan, implement, and evaluate a specialized instructional plan” (5). The instructional role of the school librarian includes working with classroom teachers to develop “information literacy and digital literacy instruction for all students” (5). Building relationships in the school learning community is the foundation on which school librarians lead an effective school library program. Collegiality and trust are necessary for classroom-library coplanning and coteaching, including coassessing student learning outcomes. To support you in developing your effective school library program, I am inviting all school librarians to participate in my upcoming Webinar “Classroom-Library Coteaching 4 Student Success.” It will be held on Thursday, October 13th at 5:00 p.m. EDT and is sponsored by ABC-CLIO and Libraries Unlimited. It is critical that school librarian leaders embrace and practice this definition in order to demonstrate to education decision-makers, school administrators, classroom teachers and specialists, students, families, and community the essential role of the school librarian and library program in educating future ready students.